Leather Cleaning in Essex & London | Cleaning Bros Ltd.
Are you looking for a highly trained and locally trusted floor care company that offers leather cleaning in Essex & London areas? If so, look no further than our professional leather cleaning Romford Essex services. 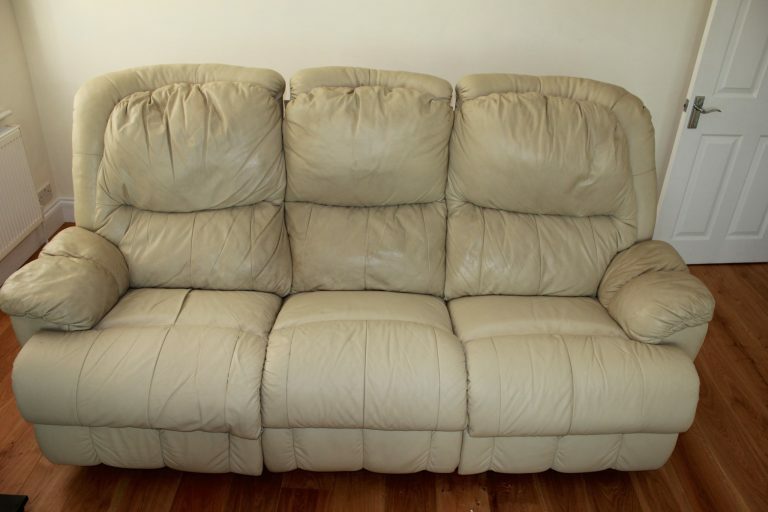 At Cleaning Bros we use the latest leather cleaning products to restore your leather to “like new” condition. We apply a special leather conditioner that leaves your leather feeling silky soft and with a lustrous shine. Cleaning Bros can provide a tailor made leather cleaning service for any type leather. As we’re accredited by The Approved Carpet Cleaning Association, SafeContractor, The NCCA and Check-a-Trade, you can rest assured that when you choose Cleaning Bros as your leather cleaning company, you’re going to be provided with a first class service from a reputable and professional company. And, most importantly, you’re going to see great results. If you have leather furniture, it will most certainly need some form of maintenance or repair during its lifetime. That’s where we come in. Our experienced leather cleaners are trained to perform a variety of services to keep your leather healthy and looking great for years to come. Most types of leather furniture require regular maintenance to preserve its appearance. Generally, leather furniture should be cleaned and protected every 6-12 months depending upon its type and the environment it resides in. Regular conditioning keeps the leather soft and prevents cracking. Check your warranty and care instructions to find recommended leather cleaning intervals specific to your leather furniture. Our leather cleaning services include a gentle hand cleaning to remove spots and soil followed by the application of a professional grade protector that will protect your leather and restore its luster. 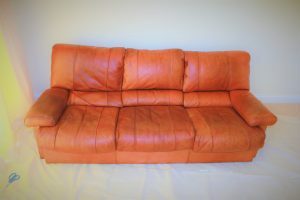 Whether for your home or business, we can offer the highest quality leather cleaning service for all types of furniture including chairs; suites; sofas; couches and footstools. Whatever the type of your leather , we have the right leather cleaning service for you! Repairs are carried out i.e. cuts, burns, scratches, punches etc. If you’re looking for a trusted team that provides leather cleaning in Essex & London areas, call us today for free advice call Cleaning Bros now on 01708 701 973. 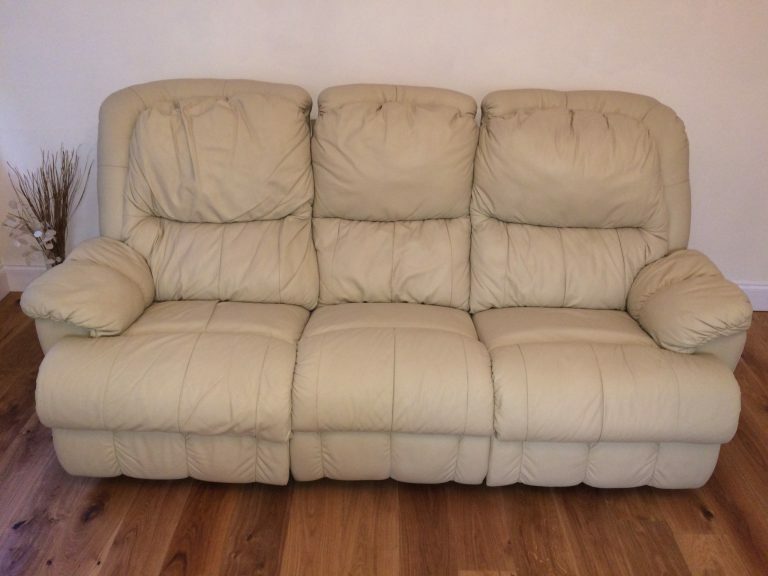 Our customer in Gidea Park, Romford initially wanted his 3 piece leather suite cleaned. At the survey stage though the leather turned out to be beyond cleaning with the finish being completely gone in places and pigment pealing off. So we advised that a full restoration of the pigment had to be done. Our client was a bit reluctant having budgeted only for cleaning, but at the end he was over the moon with the results. 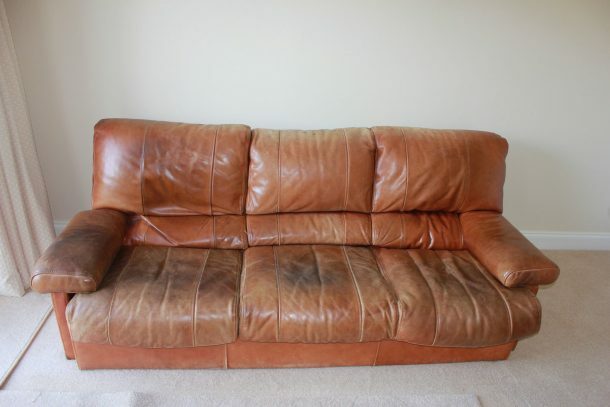 We carried out an aniline leather restoration service for a lovely couple in Brightlingsea, Essex. The sofa in the photos below is 30 years old and our customer didn’t want to see it go as it had a sentimental value to him. They asked us to restore it as it had lost colour and become very dry and rough to touch. The restoration process started with vacuum cleaning followed by thorough cleaning using specialist aniline leather products designed to remove years worth of dirt and grime build up. The dark patches in the contact areas (grease build up) were particularly challenging so we had to do multiple applications of a specialist product (the white foamy stuff on the photos below) to draw out the grease. Once grease was gone we proceeded with the aniline dye doing 3 applications to ensure even, sufficient coverage. 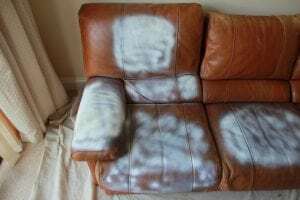 We then applied a leather protector to add an extra protection to the sofa and to make maintenance for our customer easier. Both us and our customer were very pleased with the finished results.